Christian Writer/Reader Connection: Spotlight - Times of Trouble Bring Rays of Joy - GIVEAWAY! Spotlight - Times of Trouble Bring Rays of Joy - GIVEAWAY! 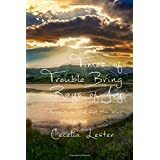 Today, Cecelia Lester is visiting with us and spotlighting her new book, Times of Trouble Bring Rays of Joy. Check out the PRINT book giveaway at the end! 1. How did you start on this writing journey? As a young adult, I wrote notices for the newspaper about our church missionary society meetings. I found myself writing devotions when it was my turn to give devotions. Early 1980’s, I went through a very deep depression. I took a 30 day leave of absence from my job. I resigned my job and started putting my thoughts on paper. I even saw a counselor trying to get through some of the issues we had faced as a family. Later, I got discouraged about writing. I was doing poetry at that time. Later, at another church, I wrote devotions for the women’s group. This was a part of the office I held. I submitted something to the denominational magazine, but it they rejected it. I again faced discouragement about writing. I did manage to submit some writing samples to another publication there and they picked up one of those samples to use in an adult take-home Sundayschool paper. In the waning years of the 20th Century, I discovered a hobby that I liked but I didn’t feel satisfied. I asked a Christian friend at church to pray for me about how God wanted me to spend my life, either doing the other pastime or return to writing. God directed me to writing. 2. What is your favorite part of writing? Least favorite? My favorite part of writing is the actual writing. I find it frees me from my worries and the issues I face. I love the thoughts and comments I receive from those who read my blog entries. I find the marketing phase of writing to be difficult. I don’t want people I know and see every week thinking “There she is. All she wants is to peddle her books to me.” I guess, I am not a ‘hard sell’ type of person. 3. What is something readers might be surprised to find out about you? As I go through life, I find I am more of an introvert than I used to be. Who knows? Maybe I always have been and I tried to overcome it in my youth. 4. Please tell us a little bit about your self-publishing experience. Was it as hard/easy as you expected? I chose to hire a professional editor. She saved me some future grief about the usage of the translation I had initially used. I had to change translations. I chose a lady to design my book cover and to format my interior. She explained things she did as she went along. Overall, my print on demand company has gone out of their way to work with me when I had an issue. 5. What advice would you give other writers who want to go the Indie route? *VIGILANT. Learn the importance of reviewing your work with the proverbial fine-toothed comb. If I had been more vigilant along the editing and format processes, my book would have been published a month earlier. *PATIENT. Patient with yourself as well as those who read and edit your work, friends-local and online as well as professional people. We all had full lives and a lot of activities going on in our lives. Remember the King James Version of the Fruit of the Spirit was long-suffering. *APPRECIATIVE. I have had lots of encouragement from online friends as well as from local ones. I have appreciated all of them. *PERSISTENT. We have to learn the meaning of this word and apply it to our writing. For me, writing a blog three times a week and an online column once a week takes dedication. It takes a lot of that same dedication staying with writing a book. Some days nothing not go as we think it should. However, we have to stay with it until the end of the long process. Have you even wondered if you fully understood what God tells you? Have you wanted assurance that God listens to your prayers? Did you ever feel you repeatedly failed God? Have you ever thought something was holding you back from serving Him? If you are like most Christians, you answered yes to at least one of these questions if not all of them. In this book, the reader explores six areas of the Christian walk that sometimes plague believers. GIVEAWAY: Cecelia has generously agreed to provide one print copy of her book to a single person who comments on this post. Deadline: Friday, October 27, 2017. Please include your email address in the comments. Thanks for featuring Cecelia, Susan. It's interesting to learn a little more about her journey. Wishing you well, Cecelia. :) I'll pass on the giveaway as Cecelia kindly supplied me a review copy. Have a great week! Hi Karen - Thanks for stopping by and commenting. Have a great week! Thank you for this encouraging spotlight. 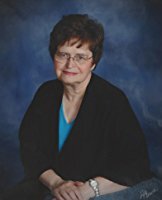 I have already purchased "Times of Trouble Bring Rays of Joy"...and I applaud Cecelia for her diligence and faithful work for the Lord. Praying that there will be many people out there who will be blessed and encouraged by her efforts and ministry of faith. You don't need to send me another copy unless you want to...if you do, I will share it with others. Thanks for hosting Cecelia on your blog Susan, what a great interview. I have been reading Cecelia's blogs for years and also read (and reviewed) her book, but I am learning new things about her here :) Thanks fro sharing ladies, excellent post and an encouragement for other writers/bloggers. I resonated with Cecelia's writing journey, especially around the times of feeling discouragement and marketing. I feel like my friends on social media would be saying the same thing about me...'she's just posting to get sales....' :) I'd love the book but only if she's okay sending it to Canada would I enter the give - away! Karen: Thank you for stopping in and for your nice wishes. Pam: Thank you for your prayers. Marja: It is always a pleasure to hear from you. Thank you for the encouraging words. Lynn: Thank you for sharing your thoughts. Susan: You are such a wonderful writing friend. Thank you for hosting me here. Hi Marja - Thanks for your kind words. Cecelia is a faithful blogger/reader. I'm glad you enjoyed her book. Hi Lynn - Yes, writing and marketing are a challenge. Thanks for commenting. Hi Cecelia - You're welcome. I'll contact you with the giveaway winner's name.